Now in all sizes std sizes. Just arrived in stock Slant Sweep and Trace forks featuring the new HLR damper aka Roughcut. 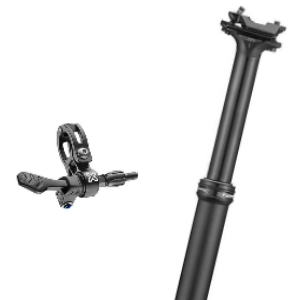 But also check out the Trace in the same config (1-18 steerer, 15mm axle and yes they are black) because they're a whole lot more fork for only a few more dollars. We got a few too many so have made the price a bit more attractive. 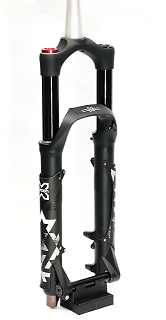 The newly announced Roughcut 34mm forks from X-Fusion have created a lot of interest. 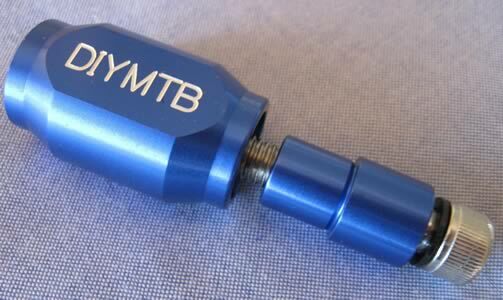 With that many of our customers are asking if the new damper will be available as an upgrade for their existing forks. 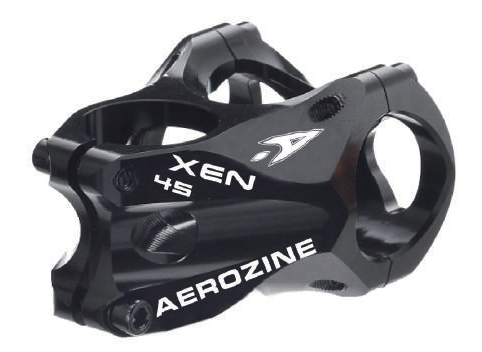 X-Fusion has indicated that all current damper production will be used in their new forks. 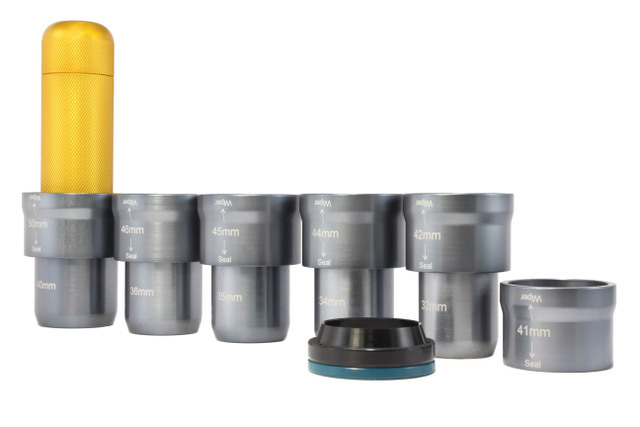 Once production has stabilised replacement damper kits should become available. The new Roughcut Slant, Sweep and Trace forks are expected @ April/May this year, but watch this space for updates. We will be open all the holiday period with the exception of the public holidays (Chrsitmas, Boxing day, New Years Day). We'd like to thanks all our customers for their awesome support in 2014 and wish you all a great Christmas time with family, friends (and bikes) and look forward to 2015 with much anticipation. 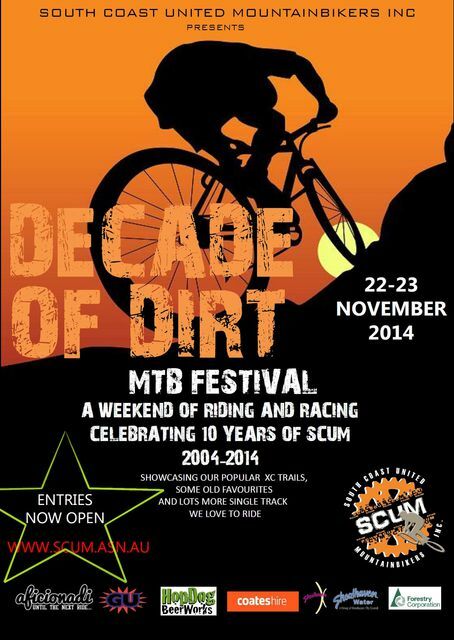 Celebrating 10 year of the South Coast United Mountainbikers Club. The bushing replacement tools have been selling strongly this year so we have organised a big order to make sure we don't run out. 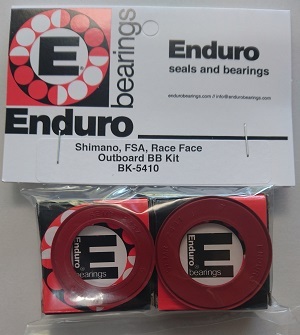 Check out the shock bushing replacement tools and other bits here. All the tools and machined parts are made here in Australia. The tool allows you to change the shock eye bushing with an allen key and in most cases can be done with the shock still in the bike. 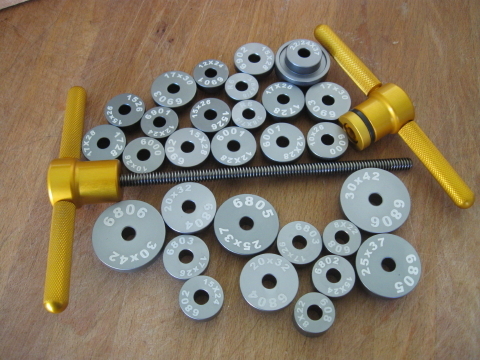 Also there are cheaper bushing replacement kits that allow the DIY'er to change the bushings quite simply with a vice. No were, not going off to a special place, but we are locked in the workshop to try to get all your repairs and new orders sorted.